Just wonder; do we need a separate "recent acquisition thread" for hardware? I just feel not right to post hardware purchases on this thread. Nonetheless, I just won these. Heee-haw! Last edited by Kreshna Aryaguna Nurzaman on 2008-2-04 @ 04:53, edited 1 time in total. Just acquired a Diamond MonsterSound MX300 and another Voodoo5 5500 AGP. I remember blowing about $300.00US on a similar Thrustmaster setup in 1998 or so. 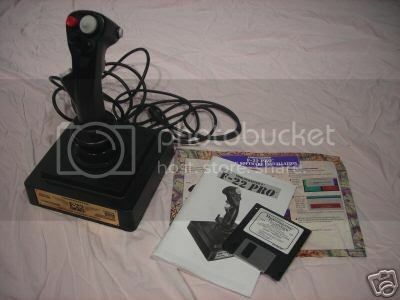 I loved the size and stiffness of the F-22 Pro joystick, but it only lasted about a month of regular use in fight sims and X-Wing Collector's Edition. The problem was that, as you moved the handle, there are a couple of cylindrical bars (made of graphite perhaps) that rub against each other in the base, and they simply wore down over that month of use. As a result, there was severe hysteresis around the detent position, and there was no way to fix it other than replacing the cylindrical bars. I have yet to see a mechanical design that was worth a darn as far as joysticks go. 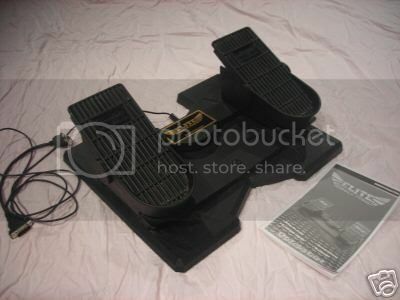 Thrustmaster had an awesome design when it came to joysticks back then. 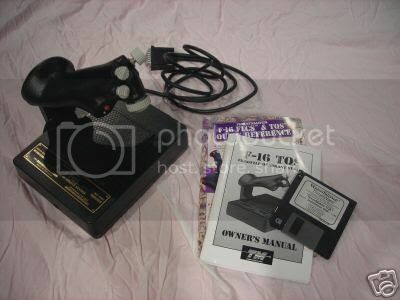 But maybe it is because I liked the ingenuity of the joysticks back then. Before everything almost became joy/game pads. But even those had some serious cool designs Or maybe I am just not seeing many joysticks now a days compared to joy/game pads. The only difference between what KAN has and my setup is that I had Thrustmaster Rudder Control System instead of the Elite pedals, and from an ergonomic standpoint, it (the system as a whole) was as close to perfection as I can imagine. But if it wears out in such a short span of time it's useless. Never underestimate your competitor. Ever. EDIT: why the hell is my ebay id displayed as a***a instead of kreshna_iceheart? Last edited by Kreshna Aryaguna Nurzaman on 2008-2-09 @ 16:28, edited 1 time in total. I'm an insane man with insane obsession. (Actually, there is a pair of obsessions, and here is the other one). I'm still waiting for the invoice and the S/H costs, though. Last edited by pduke001 on 2014-12-09 @ 07:41, edited 1 time in total. Kreshna Aryaguna Nurzaman wrote: I'm an insane man with insane obsession. Will you reflash these and use on a PC? 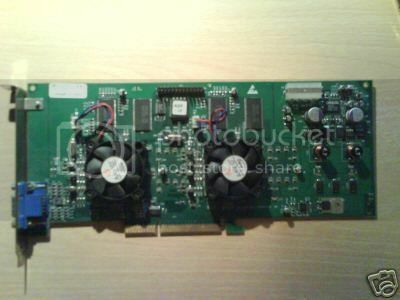 Amigaz wrote: Will you reflash these and use on a PC? But of course I will! pduke001 wrote: ... so YOU'RE they guy who keeps outbidding me on 5500's on eBay. Wait, wait. What's your ebay id? I thought bestemor is the only fellow Vogoner whom I've ever outbid on ebay. Does the DVI contact work with todays TFT's? Er, the Voodoos haven't even arrived and I've never tried such thing before; any reasons they won't work? 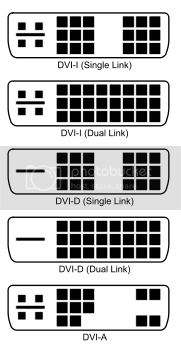 Wait, Voodoo5 5500 Macs have DVI-D Dual Link connector (the fourth connector from above; see the pic below), so it is supposed to be okay, isn't it? Last edited by pduke001 on 2014-12-09 @ 07:42, edited 1 time in total. jpd8364. I think you might've outbid me on ONE, at least. Er, but your name is not here, and it is not here either. Last edited by pduke001 on 2014-12-09 @ 07:43, edited 1 time in total. 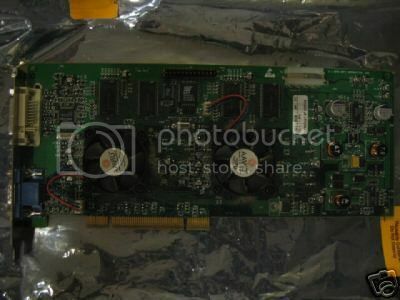 pduke001 wrote: Oh, I'm not bidding on PCIs. 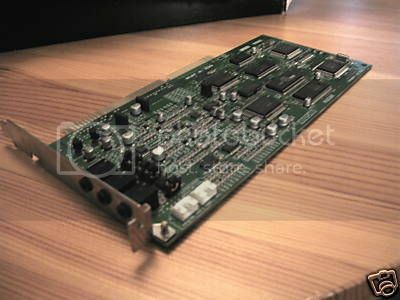 I actually already have a 5500 PCI (that I paid a ridiculous sum of money for back in 03 when I was still a foolish child... rather not talk about it). I'm looking for an AGP. 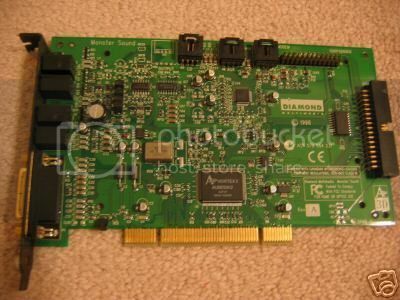 Wait, is your Voodoo5 5500 PCI a Mac version? You know, the one with DVI connector. If you plan to sell it, just let me know. Just won a Yamaha SW60XG for US $70. I guess retro games 100 is right; good ISA cards are quite expensive these days.